Aspen and the arts just go together. You can feel an excited pulse in the community as the white hills transform into green, and the arts’ season is underway. The summer calendar is full of events to stimulate thought, soothe the senses, and celebrate the talents of artists from around the world. No one can blame Aspen’s celebrated institutions like the Aspen Institute, the Aspen Art Museum, the Red Brick Center for the Arts, Jazz Aspen Snowmass, the Wheeler Opera House, the Aspen Music Festival and School, Aspen Film, the Aspen Santa Fe Ballet, the Anderson Ranch Arts Center, and Downtown Aspen for not finding anything to do. And this list doesn’t include private galleries and music venues. The people of the Roaring Fork Valley’s love for visual arts is apparent in the level of support they have given to the Aspen Art Museum to fund its brand new facility designed by noted architect Shigeru Ban. The exciting new downtown facility will encompass 30,000 square feet with 12,500 square feet of gallery space. Because of the community’s generosity, admission will remain free. The new black-box theater will host lectures, performances, and films; a rooftop garden will treat visitors to magnificent views; and the design provides space for classroom space, a museum store, and a cafe. This summer the Aspen Art Museum will still be operating from its current facility in a converted hydroelectric plant along the Roaring Fork River. Among its list of upcoming exhibits are drawings and paintings by Amelie von Wulffen, ceramics by Lucio Fontana, and a group show entitled The Residue of Memory. The Aspen Institute continues its exploration of stimulating topics through its Aspen Environment Forum, the Aspen Ideas Festival, the McCloskey Speaker Series, and others. For documentary lovers, the Aspen Institute and Aspen Film co-host NEW VIEWS, new documentaries with post-screening discussions. It is the third year for these screenings. The Aspen Music Festival and School delights audiences with performances from June 19th through August 19th. The 2012 season for this premiere classical music festival offers more than 300 music events, and the theme for this year is “Made in America.” Joining the 630 students from around the world are over 200 guest artists and artist-faculty members. This gathering of talent will offer symphonic and chamber music concerts, solo recitals, vocal programs, operas, children’s programs, and special events such as backstage tours. There will be many highlights; Edgar Meyer offers a Colorado premiere for a new work that he performs along with violinist Joshua Bell, and for jazz lovers, vocalist Jane Monheit and her trio will treat audiences with selections from the Great American Songbook. The new Hearst Theatre in Rio Grande Park is now open for its first season! Theatre Aspen marks its opening this summer with performances of Avenue Q; the musical, How I Became a Pirate; and a thriller, 39 Steps. Broadway performers join with local talent to round out the casts. There is always excitement as locals await the announcement of the artists who will perform at the Jazz Aspen Snowmass’s June and Labor Day festivals. The June festival opens with supergroup the Dukes of September that is comprised of music legends Donald Fagen, Michael McDonald, and Boz Skaggs on June 22nd. Joe Cocker headlines on June 23rd, and k.d. lang and Swiss Boom Bang appear on the 24th. Trumpeter Chris Botti closes the series with his performance on July 7th. The Jazz Aspen Snowmass Labor Day Festival opens on August 31st with the Steve Miller Band on stage followed by Sugarland. Another double bill follows on September 1st with Trombone Shorty and Orleans Avenue and Mumford & Sons. Three groups close the festival on September 2nd: Vintage Trouble; Michael Franti and Spearhead; and Kid Rock. In addition, the Snowmass Free Concert Series runs Thursday evenings at 6:15 p.m. from June 28th through August 16th, and there are ticket sales for a number of other offerings at different venues. A favorite fun local event is the Aspen Arts Festival, celebrating its tenth year with festivities at Wagner Park on July 28th and 29th. Admission is free, and artists from across the country offer goods for sale that range from paintings, sculpture, photography, glass, wood, ceramics and jewelry. Dance in Aspen is not to be neglected. 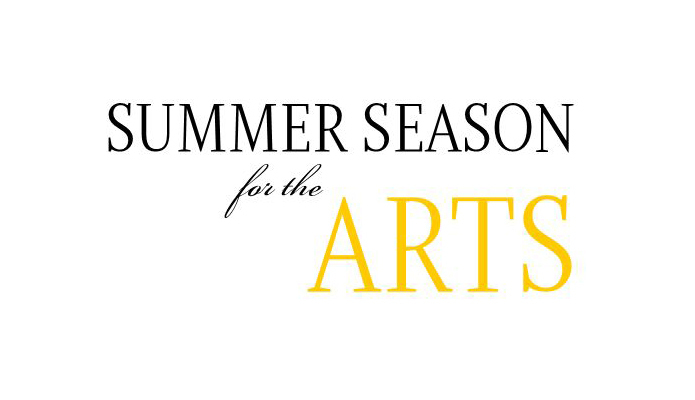 The Aspen Santa Fe Ballet performs this summer at the Aspen District Theater. This summer it sponsors performances by Hubbard Street Dance Chicago for a two-night run of contemporary dance and a children’s presentation entitled Harold and the Purple Crayon: A Dance Adventure. The Aspen Santa Fe Ballet performs two programs; the first runs on July 20th and 21st, and the second is offered August 25th, the same day the company presents Dance for Kids. The internationally recognized Hong Kong Ballet performs August 3rd and 4th. All combine for a splendid season. This list just skims the surface of the arts events this summer. Where else can someone find so much to do in such a perfect setting as Aspen?